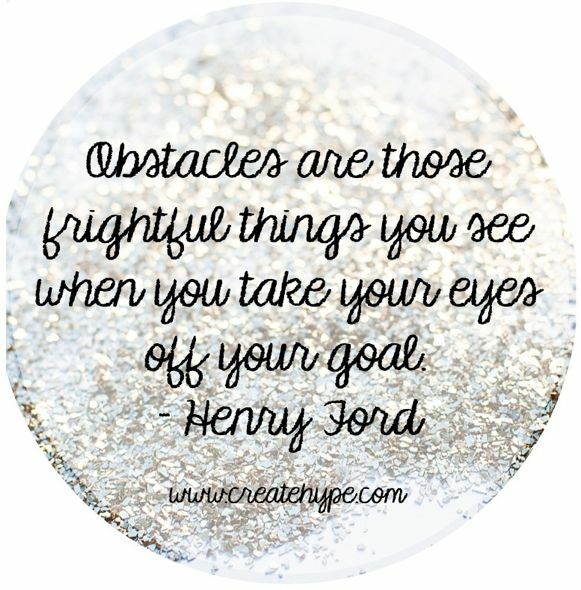 Ready to overcome the obstacles that you face in your business? Whether it’s supplier issues, trouble finding your ideal client or a dry spell, obstacles can often seem insurmountable. But I am here to tell you there is one surefire way to overcome all these obstacles. Watching Shawn Achor’s popular (and funny!) TED Talk, “The Happy Secret to Better Work,” he talks about a powerful secret that will allow you to overcome your work obstacles. The secret is changing your focus to create happiness. If you focus on the pressure, the workload and the negativity, then that is what will loom large. He cited fascinating statistics: notably that 90 percent of your happiness is not predicted by your external word but rather how we process it. If you see stress as a challenge, not a threat, you will be on the road to overcoming those obstacles. The secret is in how we process our challenges. People commonly believe that if you work harder, you will be more successful and therefore happier. But, as he points out, that’s backwards. Because every time you have a success, you have changed the goalpost and moved it farther ahead. Your sales goals might increase. The bar is always raised. So therefore your happiness will once again seem that much farther away. But happiness isn’t transient or connected to an event in time. In fact, your energy, creativity and business outcomes will all improve if your brain is positive. In my experience, this positivity can come from surrounding yourselves with positive people, and part of that can be a good networking group — both online and offline. Having people to turn to can help you keep your focus positive as you overcome obstacles. Online you can create a private Facebook Group if you already know who some of your key group members will be. Or, if you are searching for people who can help you with your questions, check out Google+ Communities and LinkedIn Groups. There are tons to choose from and you can join up to 50 so consider choosing a nice mix. For example you can join those that cater specifically to your industry, and then also check out complementary groups where you can find opportunities to network and cross promote. For example, if you make and sell jewelry, find groups that are about online commerce and ones with work at home moms, or whomever your ideal client might be. Consider joining or creating a Mastermind group. To connect with people in person, check out groups like NAWBO or Smarty, which offer educational conferences and talks about financial, legal, customer and employee relations issues, as well as larger contracting opportunities. Even if your business is primarily online, it’s crucial to get out locally and connect with your community and fellow business owners so you are aware of local opportunities and issues. When they say it’s not what you know but who you know, many times that is very true. I always find that the more people I know, the more I am certain to find someone in my network who can help me with questions that arise. Surrounding yourself by smart people is important to business success. But don’t overlook the importance of surrounding yourself with positive people. The more you hear positive messages, the more you are going to live them. Because overcoming business obstacles has to start with you — and your attitude! The positive way you approach any issue will have more to do with how you solve it than almost any other factor. Ready to take your business to the next level? Sometimes you need someone in your corner, who can help you cut through the clutter of competing priorities and overwhelming demands – and help you when you know that just because something is “simple” doesn’t mean it is “easy.” Try my 60 Minutes to Lifetime Sales program!